There’s nothing more frustrating than using a rubbish rucksack – so I don’t. After 80k miles with a Kriega R30, I moved on to this R20 (20 litres) as I rarely need more space for daily duties. Yes, it’s a lot of money, but it will last you a lifetime because the build quality is superbly robust. I ride in all weathers, all year and – apart from looking dirtier – there are neither signs of wear nor tear after 20k miles. The main compartment is easy to access, there’s a really useful internal pocket for keeping small items safe and another for stopping your laptop from wafting about, plus one more on the front. The outer is Cordura and rip-stop nylon, while the back is padded for comfort, and the straps secure using Kriega’s brilliant Quadloc chest clip. I don’t use the waist strap as I’m too lardy, and you just don’t need it. 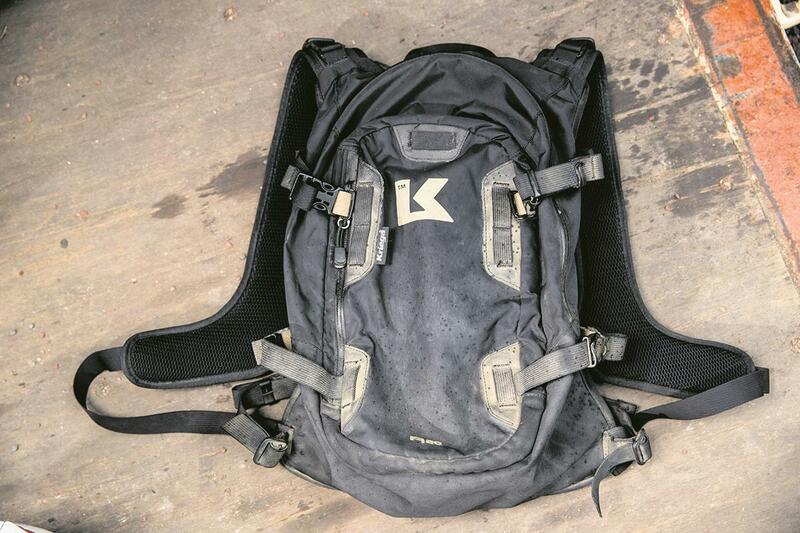 If you want a rucksack that won’t tug at your shoulders or lose your stuff on the motorway – this is it.